My Seoul chapter over, the thesis has shifted its focus to the City of London. By no means an abrupt severance; the period in South Korea was instrumental in developing an investigative technique, a particular way of looking. And so, I have simply recalibrated my tools. 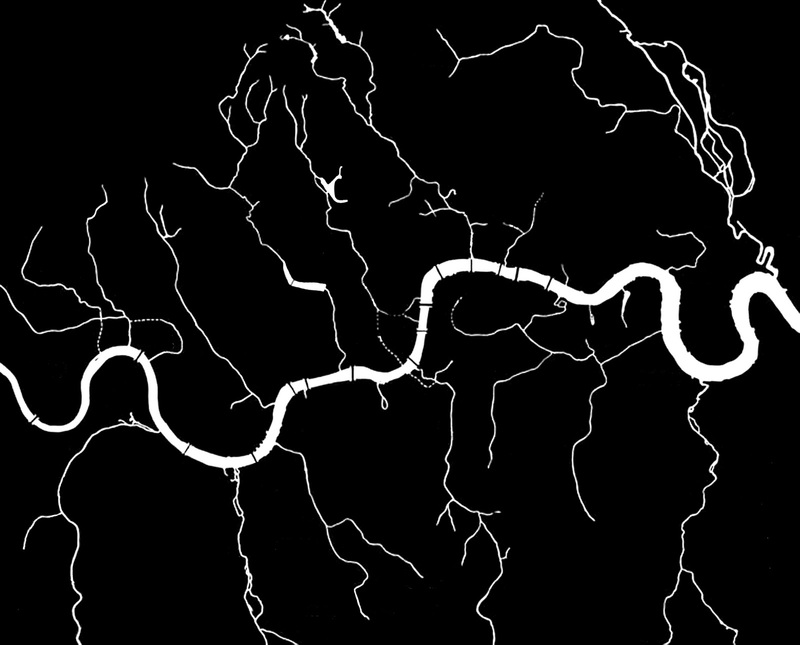 I launched the transition by researching London’s lost rivers, those skinny waterways which once defined the city’s infrastructure but are now buried beneath it. The drawing below conveys the extent of this suppression, and the sense of smaller incisions moving in opposition to a formal order. 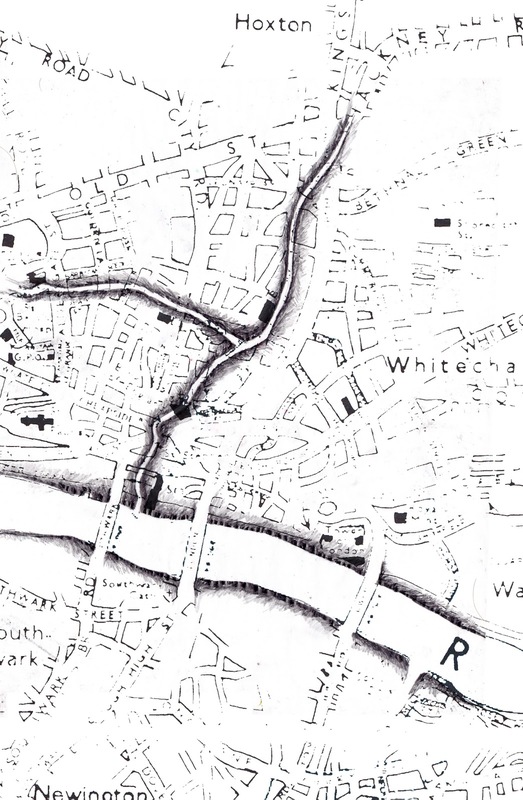 Zooming in, I focused my attention on the River Walbrook, one of the oldest in the city and – last seen above ground in the 15th Century – the first to become subterranean. The Walbrook ran through the first iteration of London, Roman Londinium - a city founded on two hills on the bank of the Thames. The notion of the ancient city and the importance of landscape in its founding were central to investigation in Seoul, here they provide a stepping-stone for the continuation of the thesis in London. Welsh. There was a Welsh settlement there in the Medieval period. While I agree that 'Weala/Wala Broc' is the likely origin of the Walbrook name there is no evidence whatsoever for a Welsh settlement. 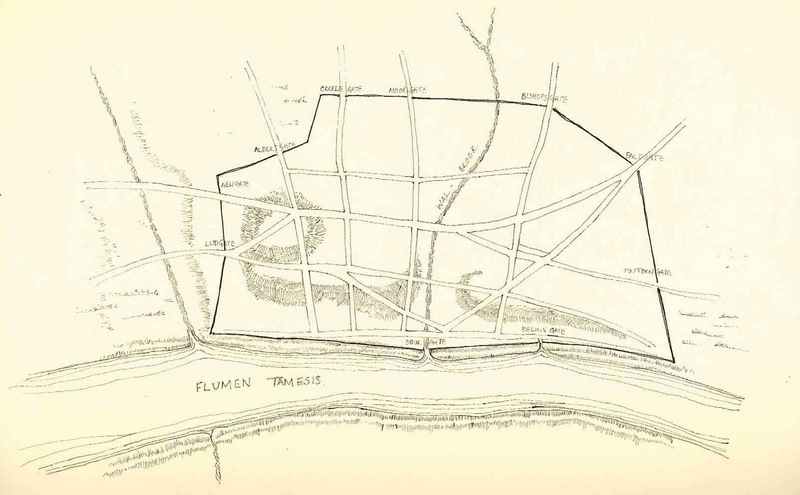 The Walbrook name was already 'ancient' by 1180 (and probably long before) and there really is no possibility of a native British/Welsh enclave in London during the 10th century or earlier. It's just about possible during the calmer 12th century but your site presents no evidence. The Anglo-Saxons needed little excuse to prefix many place-names with Wal(h) "foreigner" in any case.